The dominant role played by government financing in Canada’s single-payer health care system has led to an oversight related to demographics: senior migration. Health care spending is skewed towards the first year of life and after retirement. The average amount spent on health care by governments in a person’s first year of life is $10,800. For those between the ages of 65 to 69, that amount is $6,424, but it rises to $13,797 for those over 70. Taxes, on the other hand, start out quite low and then climb steadily to one’s prime earning years (56-63), before beginning to decline as one nears and then enters retirement. When a senior migrates from one province to another, they are likely to have paid the bulk of their lifetime taxes in one province but will consume the majority of their health care in another. Six provinces experienced a net inflow of seniors between 1980 and 2016: BC, AB, ON, NB, NS, and PEI. 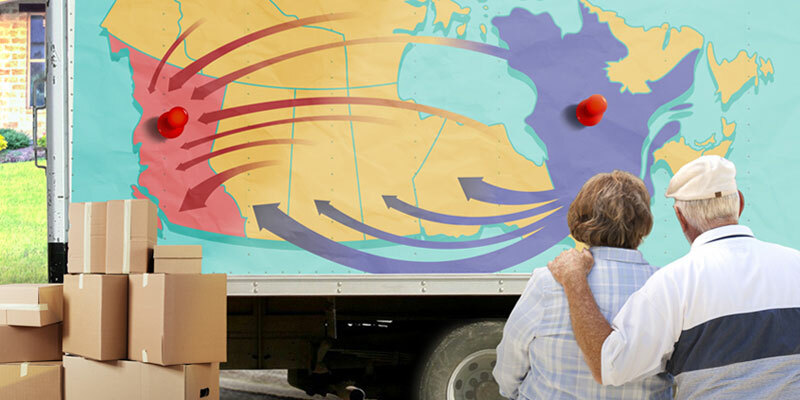 The remaining four provinces (SK, MB, QC, and NL) experienced a net outflow of seniors. British Columbia recorded the greatest inflow (40,512), while Quebec experienced the greatest outflow (37,305). Based on average annual health care costs by age, British Columbia had the largest cost at $7.2 billion (in 2017 dollars) while Quebec had the largest savings at $6.0 billion. A partial analysis of potential tax revenues provided by migrating seniors suggests that BC’s costs could have been mitigated by as much as 36.3 percent while Quebec’s savings could have been reduced by as much as 19.2 percent.